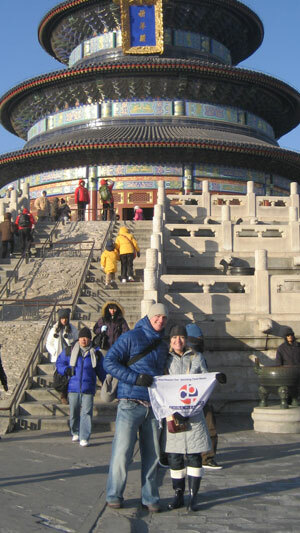 China Train Tour Feed Back from China Train Travel Best Tour Operator- Chinatraintickets.net! Full of Good Memories ! Thank you! Our Worldwide Friends ! Lindsay and Scott honeymoon tour! 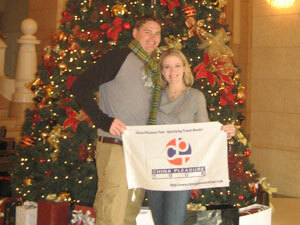 We came to China in December 29, 2010. I would say the honeymoon was excellent and your guides were superb. 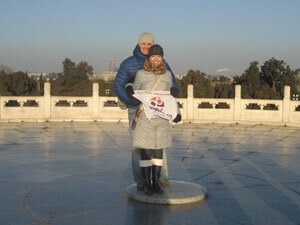 We really enjoyed Ellen in Beijing and Michael in Xi'an was extremely friendly and knowledgeable. I'm not sure if Lindsay was so keen on the train part of the trip but it was a good experience and the overall trip was very positive. Thanks again for all your help and added surprises along the journey. Once we have the photos completely compiled and journals written we will forward to you and you can see the adventure in more detail. Best wishes and enjoy your upcoming Chinese New Year!